From the original Poppleton mill in the UK for authentic, traditional Gansey sweaters and socks. Very firmly spun 5-ply needs to be firmly knitted. Your great-grandchildren may inherit these long-wearing items. 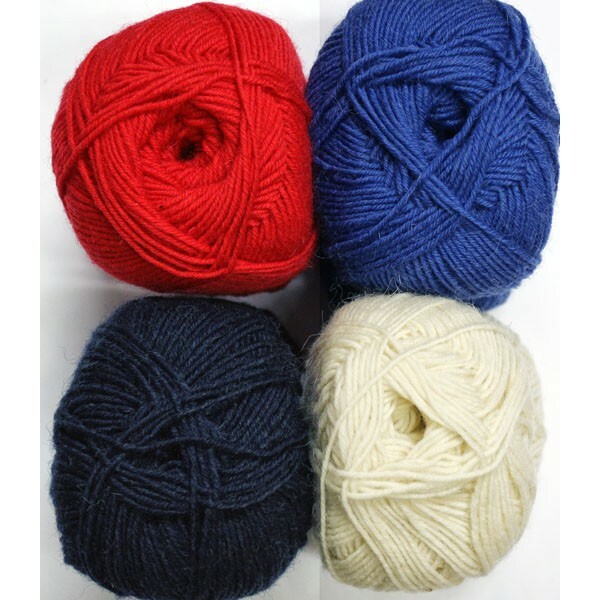 Material: 100% Wool Weight: 3.5 oz ball Yardage: 245 yds Approx. Gauge: 7-9 sts to 1 inch Price: 12.75 Choose the quantity for each color you wish to order and click Add to Cart at the bottom of the page.